Heart failure, aka congestive heart failure or CHF, is a condition in which fluid builds up in the lungs and chest, making it difficult for the lungs to inflate and the heart to pump. 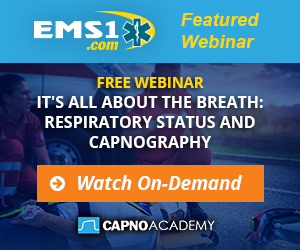 Capnography is one of the best tools for EMS providers to use since the EKG. It not only helps you diagnose your patient, but it also helps you see if your treatment is working or not. The use of waveform capnography as a monitoring and diagnostic tool extends far beyond airway management and cardiac arrest. For both intubated and non-intubated patients, capnography can provide a wealth of information about vital signs.